by Brandi Grissom, The Texas Tribune: Texas county jails spent more than $156.6 million housing more than 131,000 illegal immigrants with federal detainers between October 2011 and September 2013, according to state jail commission data. “Those are staggering numbers,” said state Sen. Tommy Williams, R-The Woodlands, who authored the 2011 bill that required jails to begin tracking data about the cost of jailing illegal immigrants. . . .
“The federal government has got to get a grip on controlling our borders,” Williams said in an emailed statement. Of the 245 jails statewide, Harris County reported by far the largest number of illegal immigrants and the highest cost. The jail, one of the largest in the nation, housed more than 30,000 illegal immigrants at a cost of more than $49.6 million. . . .
“Immigration is a federal issue, and if the federal government fails to take care of that piece of business, then it’s financially on the hook for it.” he said. Dallas County spent more than $22 million housing more than 12,000 illegal immigrants, and Travis County spent more than $15 million on 11,000 illegal immigrants, according to the reports. Among the 20 counties that reported the highest costs, 17 reported spending $1 million or more. 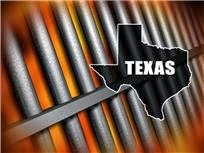 Tags: Texas, spending millions, jails, illegal aliens To share the post, click on "Post Link." Please mention / link to Blogs for Borders. Thanks! A young woman was raped, murdered and dumped in the street. There was no evidence and no witnesses as to who may have killed her. There was a moist Bruised area on her chest which they swabbed and tested. It appeared to be saliva but there was such a small sample that they were unable to test it. The case was unsolved for 11 years until the procedure to duplicate/replicate had been developed. As it turns out, the DNA file matched an individual deported from another country for doing a similar crime and he came to the United States. Before he was caught and put in jail 11 years later, it makes you wonder what other crimes he committed during the time he was free? Tell me again, why we should instantaneously citizen-ize millions of illegal unchecked unregistered unauthorized visitors in this country, who by virtue of their illegal status, are already breaking the law? why haven't we spent any money building a wall similar to the walls running down the main highways?